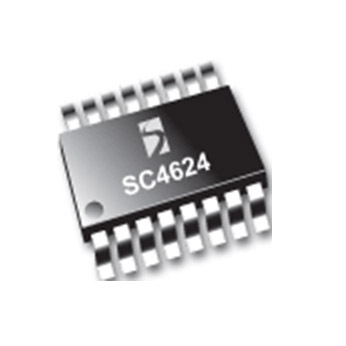 The SC4624 is a highly integrated synchronous step-down DC/DC regulator designed for low input voltage range of 2.3V to 5.5 Volts. It can deliver 4A continuous output current with the output voltage as low as 0.5 Volts. 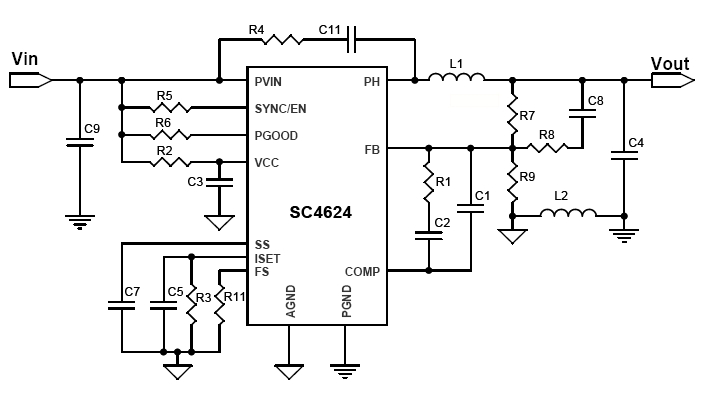 The internal low RDS(ON) synchronous power switches eliminate the need for external Schottky diode while delivering overall converter efficiency up to 95%. Low RDS(ON) integrated FETs: 75m? and 47m?